Here in England we've been anxiously hoping for warmer weather...the newspapers keep reminding us that it's been the coldest spring in 50 odd years or so. 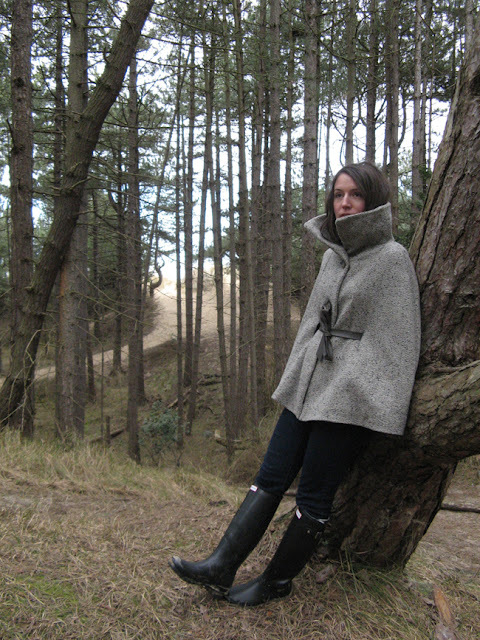 Today the sun is finally out, so it feels strange to be posting about my wool cape! 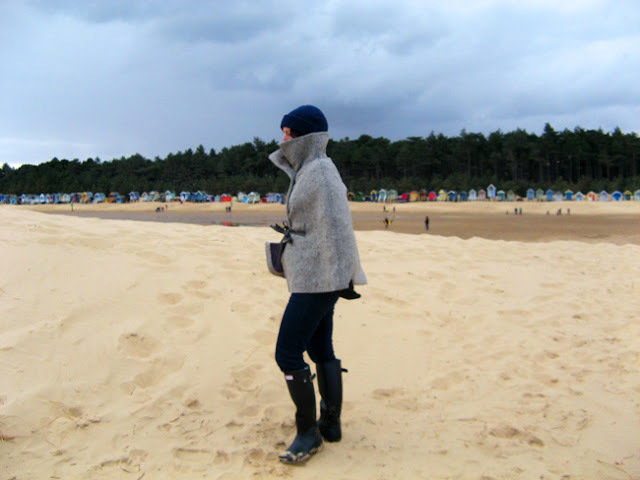 It's not often though that I get such amazing scenery as a backdrop -- the pictures were taken in cooler weather at the amazingly beautiful Holkham Beach in Norfolk, that one in the final scene of Shakespeare in Love -- and didn't want these to go to waste. 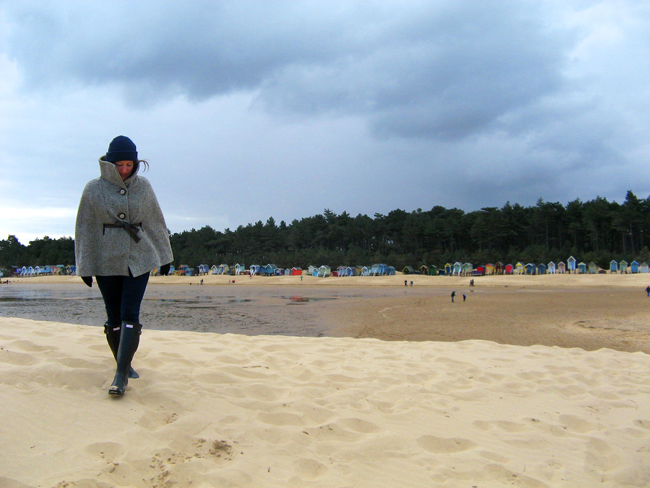 Here I am doing my best stranded on the beach pose...well, good effort anyway. 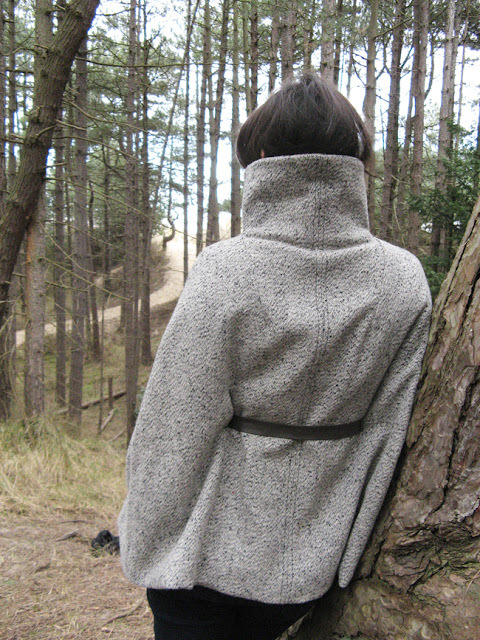 This is not a new project, and there have been so many beautifully made capes all over the internet for a while now, but I thought I'd blog about it because if your'e thinking about trying a self drafted pattern, it's a fun and easy one to experiment with. Patternmaking guides will give you a technical how-to for making a cape, but capes aren't meant to be taken seriously and I don't think the pattern has to be either! All you need is some patience and to be willing to make up a toile or two. What you'll have to do is take a front and back bodice block, or a commercial bodice pattern that you know fits you, extend at the waist to the hemline and draw matching "wings" from where the shoulder seam would be, eliminating the arm holes and waist dart. - don't forget seam allowances! This cape has side seams and a seam down the back as well. I picked up the mother of pearl buttons at a fleamarket in Paris (I say that so casually, like I go there every week-end - I wish!) The button holes themseves are, shall we say, "organic", zigzagged around the edges. As it's not meant to be a formal cape, bound buttonholes weren't the look I was going for here, and I'm happy with the end result. I've had this in my closet for a few years now I can't say it's been a go-to piece, but I'm happy I have it and loved wearing it on this week-end get-a-way. 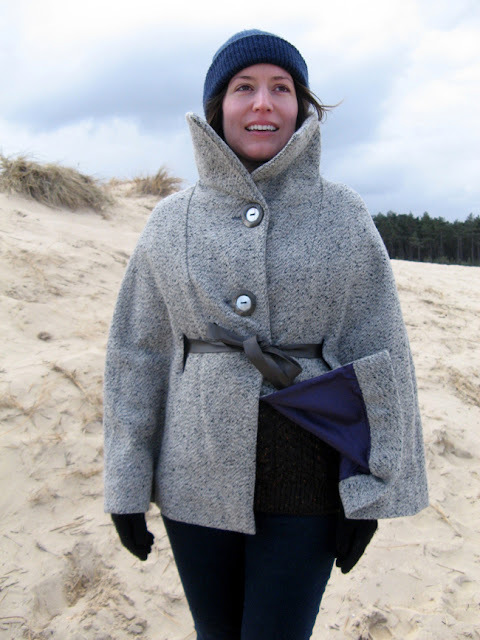 I added a high collar, stabilising with heavy interfacing, but it certainly doesn't need one. 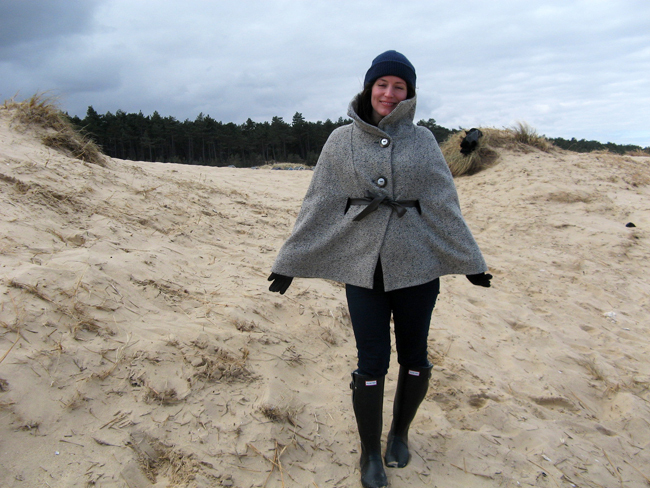 Right now my hope is that I won't have to wear this cape again until November...! Here's to the sun - have a great week-end! I Like it - It looks great and I hope the weather was warmer than it looks, we've had quite a nice day up here in the North East, warm enough for an ice cream and a sit out on the slightly damp grass at the park. Thanks very much! 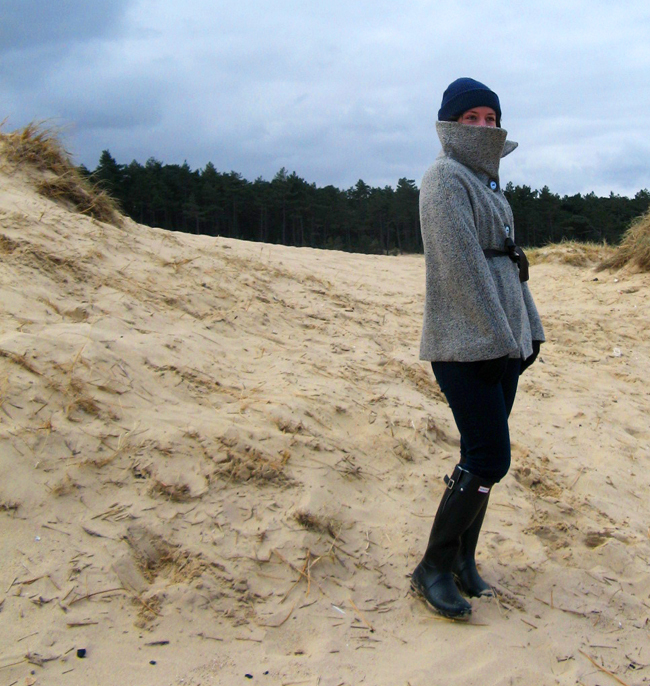 It was biting cold! But that seems like a distand memory after today -- here it's also damp-grass warm and I'll take it! Hope your week-end is looking good! Lovely photos. I think your cape is gorgeous. Thank you Jen! Oh man, fingers crossed this is the start of a long hot summer! Thanks! 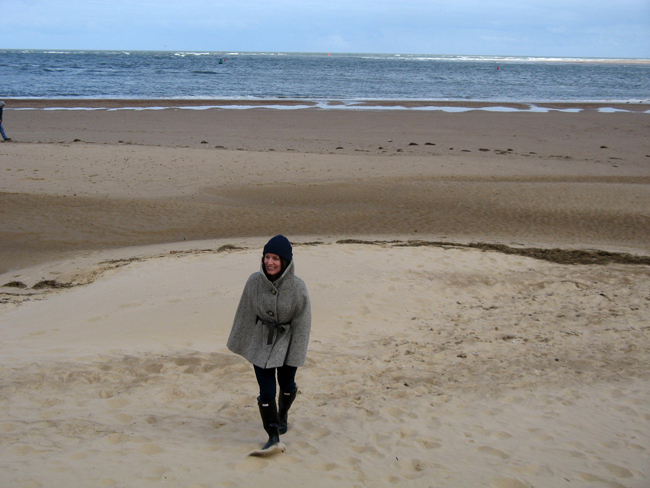 It was great, but cold! Hi Nat, thanks very much! Looking forward to following your blogs - what a great concept with the challenges. Sounds like a lot of fun! 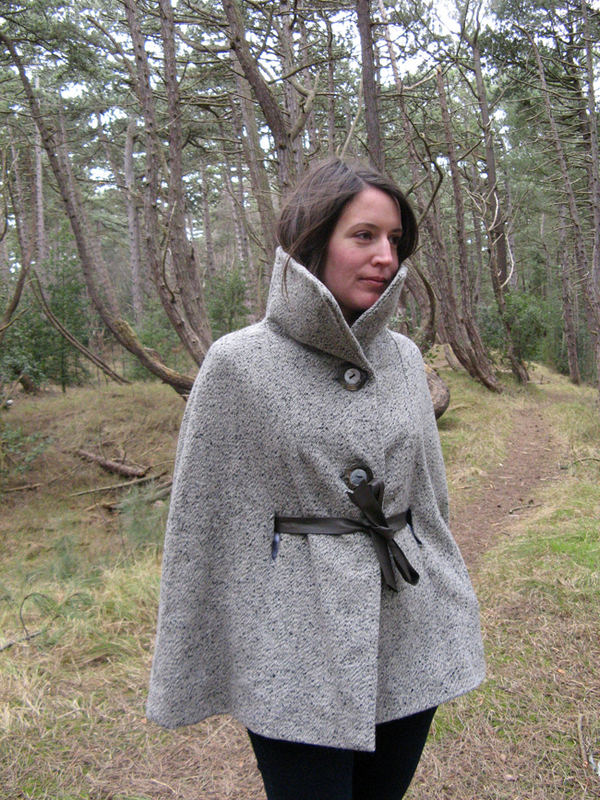 Beautiful cape -- especially love the collar and those big buttons. Love the reference to Shakespeare in Love -- one of my fave movies! It hit 100 degrees F for us yesterday -- I wish the weather would cool down over here! Love this cape! It´s soo flattering and the collar is awesome, well done! Hi Masustak, thanks very much! What a beautiful sewing gallery you have - can't wait to see more! 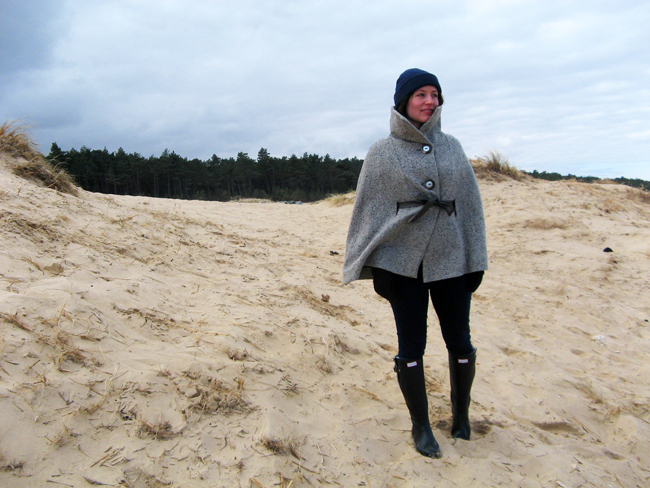 Fabulous cape! Hopefully you won't need to use it too much more, it looks like summer may finally be on it's way. Very cool! I love this cape-- it's so modern and fun! Thank you Zoe! It was my first time in Norfolk and it really is beautiful.